"Look the best you can be as you are"
At Emma d Make-up and Hair, I help you celebrate that – with pampering hair and make-up consultations that leave you feeling confident – and looking fantastic. Whether you have a special occasion, need to create a professional business image, or you simply want to reward yourself – when you choose my professional hair and make-up artist services in Brighton, looking good is natural. Make-up is about highlighting your natural beauty – a tool to help you showcase your individual style, and leave you looking good and feeling positive. 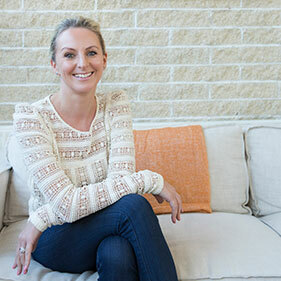 With my expert consultation, you’ll have the confidence to apply make-up that becomes part of your everyday routine – leaving you feeling presentable, confident and happy, even when you are popping out to do the grocery shopping. Being made up isn't about layer-upon-layer of products that leave you looking overdone and artificial. It's simply being taught what products and colours suit your skin tone – and your lifestyle – to leave you looking awake and fresh and ready to move through your day with style and grace. You don't need a lot in your make-up bag – just a few of the right things that reflect your age, skin and lifestyle. To find out more about creating a no-fuss make-up routine that suits your lifestyle, contact me to book a consultation. My career as a Melbourne make-up artist and hair stylist stretches back to childhood – with lots of happy memories. Putting make-up on in front of Nana’s mirror was the beginning of a life-long love for make-up artistry and as my skills grew, I honed my skills as a make-up artist in the dressing rooms of local theatres and halls. In 1998, those humble beginnings took me to the mainstream entertainment industry and the experience of working with high-profile identities at major TV networks, including 7, 9 and 10, made my passion even stronger. I loved the way professionally applied make-up and expertly-styled hair transformed women and I wanted to share that joy with everyday women who still deserved to feel special and connected to their full potential. Emma d Make-up and Hair launched in 2009. Everyone deserves to feel special – and that’s what I LOVE about my business. I put smiles on people’s faces. For hair and make-up that leaves you looking radiant and gorgeous, I’d love to talk. To book your session, contact me today. I completed my formal make-up and hair styling training at the most prestigious hair and beauty institutions in Australia; Academy of Makeup, Biba Academy of Hairdressing and Sharon Blain Education plus ongoing industry workshops. Keeping up with the freshest make-up application techniques and looks, based on seasonal and fashion trends, is important to me – and I know it’s important to my clients. 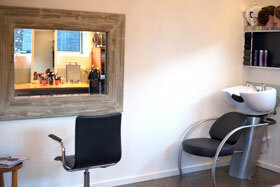 One wonderful part about running my business as a make-up artist and hair stylist in Bayside Melbourne? Playing with lovely products to make sure I find the best possible make-up and hair styling solutions that help you look your best. To find out how I can teach you to highlight your natural beauty and showcase your stunning style, book a consultation today. For me, it’s about more than just applying hair and make-up products. I take the time to find out about you, as well as the event you are attending, the feeling you want to capture and the outfit you plan to wear. The result is a complete vision of your individual style and needs. You feel rejuvenated and energised – looking as special as you deserve to feel. Life is busy, I know. But when you treat yourself to a hair and make-up session in my studio, you forget all that – and enjoy the indulgence of time that is just for you. You deserve to be pampered. To book your consultation, contact me today. As soon as you enter my tranquil, private and stylish studio, you leave your worries behind. My studio is cosy in the winter, cool in the summer and easy to get to. To book my personalised care of your special occasion hair and make-up in Brighton, contact me today. There are so many great make-up products available and I love the consistent quality of high-end products that include Giorgio Armani, Chanel, Bobbi Brown, Nars, and Laura Mercier. You will feel indulged and pampered – and your skin will thank you for it. By taking the time to analyse your skin and talk about your lifestyle and routine, I apply make-up that suits you – and help you glow with natural beauty and improved self-confidence. To find the make-up product that suits your skin and lifestyle, contact me to book a consultation today. "Dearest Em, this is my very belated thank you for the amazing make-up service you provided on my wedding day!!! You are truly talented and worked your magic on us through your make-up and hair expertise - we received endless compliments! Beyond the perfect job you did with our make-up and hair, your gorgeous, vivacious bubbly personality added to the fun atmosphere leading up to the ceremony. This played a huge part in me being so relaxed on the day and contributed to making the wedding ever more special and memorable. You listened and continually nurtured us all throughout the morning. Thank you for making our wedding day that much more beautiful and special! Wishing you all the very best in the future Em!!" "I met with Emma and was immediately relaxed with her happy and calm demeanour. Emma took the time to ask me questions about what I liked and what I wanted and provided expert advice on what suited my skin tone and colouring. Her professionalism and experience showed when I saw the finished product. My make-up looked sensational and I felt like a queen! I can highly recommend Emma for your special occasion." "I just wanted to email you and say thank you for recommending Emma for our Hair and Make-up. Not only did she do a wonderful job, but she is a very lovely lady! We will definitely be booking her again and also recommending her!" "Thank you so much for today, a true professional, totally talented and a cool chick to boot!" 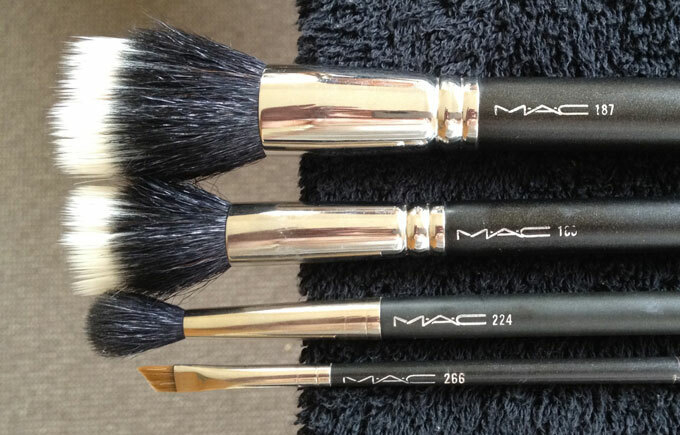 It's best to wash your make up brushes with a conditioning baby shampoo in warm water, squeeze the excess water out with a clean towel and let dry hanging over a bench lying brushes down. At Emma d Make-up and Hair, I offer something for every occasion – for that special formal event, an important workplace function or job interview, or simply to look beautiful for that special person in your life. Invest in your appearance. Learn an 'out the door' look for everyday and the tricks to tweak for an evening look. All personalized to your skin type, coloring & style. 90 mins – $150 or 2 hours - $195 includes sorting out your current make up bag. In today's competitive employment market, projecting an image of professionalism and approachability is key to creating an engaging online profile that builds trust and credibility. Working together since 2015, we specialise in natural and authentic headshots that capture your personality in the best light. In a friendly and laid-back studio environment, we ensure you will feel comfortable and relaxed with the photography process. To book the make-up and hair consultation you deserve, contact me today.